Have you bought into lie about success which constantly requires more, more, and more? To achieve success, you must do more, work more hours, and take on more responsibilities. If so, you're probably experiencing a roller-coaster ride of mixed results: being on top of the world one moment and crashing to earth at lightning speed the next. The Success Lie was written for you. You recognize the gap between where you are now and your highest potential but don't want to sacrifice your sanity to get there. 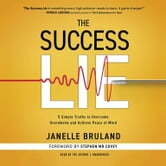 Janelle Bruland has built a formidable bridge over that gap, proving that you can be successful in the business world and maintain balance in your personal life without constantly feeling overwhelmed. You know that everything in life is a result of the choices you've made. Yet, you're wondering if you're making the right choices. The proven strategies you will learn in this book will show you how to step away from the modern world's path to success and create a life of fulfillment-one where you are aligned in your values, living your purpose, loving your work, and positively impacting your family. Determine what's truly important to you and then live by those priorities.Recognize what's gotten in the way of your success and take proactive steps to become a better (and happier) version of yourself.Discover strategies to overcome overwhelm. Take back your life! Stop allowing societal pressures to tell you what matters. Get back on the path to fulfillment and do it your way! Live your purpose. Love your work. Positively impact everyone around you. 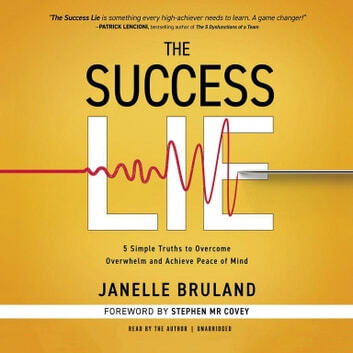 Included in The Success Lie are resources and tools which will help you in designing your own Success Plan. Access a downloadable workbook to apply these ideas to your life. Don't buy into the lie, anymore. You have the choice. Your choices start today.